From John A. Macdonald on down, prime ministers have always pitched Canada to big investors, foreign and domestic. In the 1990s Jean Chrétien’s “Team Canada” missions in search of foreign business deals were a way of refocusing the country on shared economic goals after the divisive disputes over the Meech and Charlottetown Accords (which were really Discords). Chrétien would pack the provincial premiers onto a jet and fly them off in search of business partners in the farthest corners of the globe... where he should have left them, some doubters said! 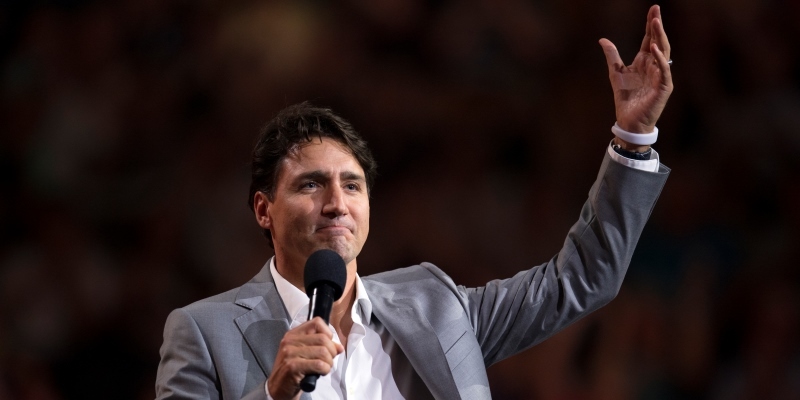 The latest prime ministerial pitch came in Toronto recently when Prime Minister Justin Trudeau and nine of his cabinet ministers (you think maybe we have too many cabinet ministers?) sat down with big institutional investors at a schmooze-in organized by BlackRock to let the politicians try to sell big Canadian and foreign pension and hedge funds on the benefits of investing in Canada, especially in the big new (though still ill-defined) infrastructure bank his government is planning (an American version of which the Trump administration is thinking about, too). I’ve never run a business and so have no experience of how it all works. But I always find this kind of Canada-selling bizarre, and maybe even a little troubling. It’s obvious why politicians would want to be seen working hard for jobs and investments. But how does it fit into our usual model of how markets work? Do big investors really make billion-dollar decisions based on a country’s prime minister telling them how good his homeland would be for them? If I own shares in these businesses, I sure hope not. I want them constantly scouring the globe looking for good places to put their money (which is partly my money). I really don’t want them opting for Canada because the PM made a great presentation or the canapés at the reception were really good or the Leafs game they got taken to at the Air Canada Centre was a real hoot for them (which would be hard to imagine in previous years, though maybe nowadays it’s more fun). If they’re the kind of company that isn’t aware of Canada unless they meet the PM at Davos or get an invite to come on up and spend a few hours with the head of government, they’re not the kind of company I want my money in. If they’re making decisions on the basis of how friendly the local government is, well, that’s crony capitalism. They do favours for the government. The government does favours for them. If you’re dealing with a less-developed-country dictatorship, well, sure, it’s part of due diligence to get the local leadership on board. If you don’t, you open yourself up to all sorts of problems—though even if you do, risks remain high. What if there’s a coup? But if you’re looking at a developed-country democracy, we’ve got laws and regulations that govern the treatment of businesses. Hire a lawyer to find out about them. You shouldn’t need the PM’s personal touch or a few hours in the Leafs box to figure out whether an investment will give you a good return. I liked the reaction of NDP finance critic Guy Caron to the get-together in Toronto. Referring to the businesses attending, he said: “They won’t do it out of the goodness of their hearts. They will want a return.” I certainly hope so! That’s what their shareholders expect. That’s how they perform their social function in capitalism. They roam the planet looking for the best rates of return on their capital. What makes for a high rate of return? Providing goods and services people want at the lowest possible cost. That’s one of the beauties of competitive markets. That isn’t actually what the NDP’s Mr. Caron had in mind, of course. Rather, he made his comment to regret the fact that some of the infrastructure Prime Minister Trudeau was pitching will be financed by tolls (though I’ll believe that when I see it—his party’s platform opposed tolls his Tory predecessors planned for Montreal’s new Champlain Bridge). Economists would argue that if infrastructure can be financed by tolls it should be financed by tolls. What could be fairer or more efficient than having the users of infrastructure pay for it? Economists would also argue that there are many things, investments included, that can’t or shouldn’t be tolled and that therefore won’t interest private businesses. Those are the things Prime Minister Trudeau should spend his time on. They’re what governments are for.